BEASY Fracture and Crack Growth enables engineers to quickly develop full 3D virtual prototypes based on the actual geometry of structures and components to predict how cracks will develop and impact their life and integrity. BEASY’s Crack Growth Simulation tools provide engineers with the ability to quickly solve 3D fracture models in support of damage tolerance analysis and structural integrity assessment. BEASY's Crack Growth Simulation software is based on advanced fracture mechanics principles and represents a radically improved approach to computational fracture analysis. BEASY's fracture simulation methodology provides more accurate solutions for those needing to make critical life extension decisions or to determine if an asset can continue to operate safely under existing service loading conditions. BEASY’s Crack Simulation Technology revolutionises the way Fracture Mechanics calculations are performed to satisfy your needs for quality Fracture Mechanics data. Damage tolerance assumes the existence of initial flaws in the structure and the structure is designed to retain adequate residual strength until damage is detected and repaired during planned maintenance periods. 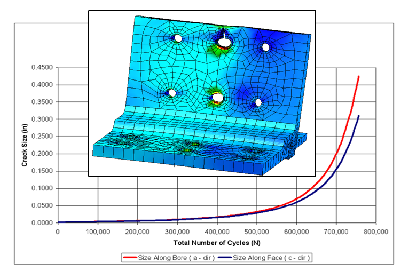 BEASY's crack growth simulation tools can be used to support damage tolerant design by supplying the SIF data for initial flaw sizes to determine if these cracks would grow (K < Kth). BEASY is also used to determine the rate of crack growth and can be used to show that initial damage will grow at a stable rate and cracks will not reach critical sizes (K > Kc) before scheduled inspections. BEASY's crack growth simulation tools can provide answers for many of the issues facing owners and operators of high capital cost structures. As structural assets age as a result of various damagesmechanisms (i.e. fatigue cracking, corrosion, and stress-corrosion cracking) it becomes increasingly important to find ways of extending their useful service life. Whether it is an aircraft, bridge, or floating offshore structure that is required to perform longer than its initial design period BEASY can provide critical data on how the structure will perform given a range of damage scenarios. A BEASY analysis can easily be fit into the framework of most structural integrity programs and serve as useful piece of the decision making puzzles surrounding the safe operation of aging structures or equipment. Failure investigations are often complicated by several factors including the complexity of the structure, unknown initial design, material history, and incomplete operation and maintenance records. BEASY can provide powerful 3D fracture simulations to help evaluate potential failure scenarios. Although hand calculations are useful at the beginning of a forensic failure analysis sophisticated 3D computer models are often required to determine the root cause of a failure. on the failure. 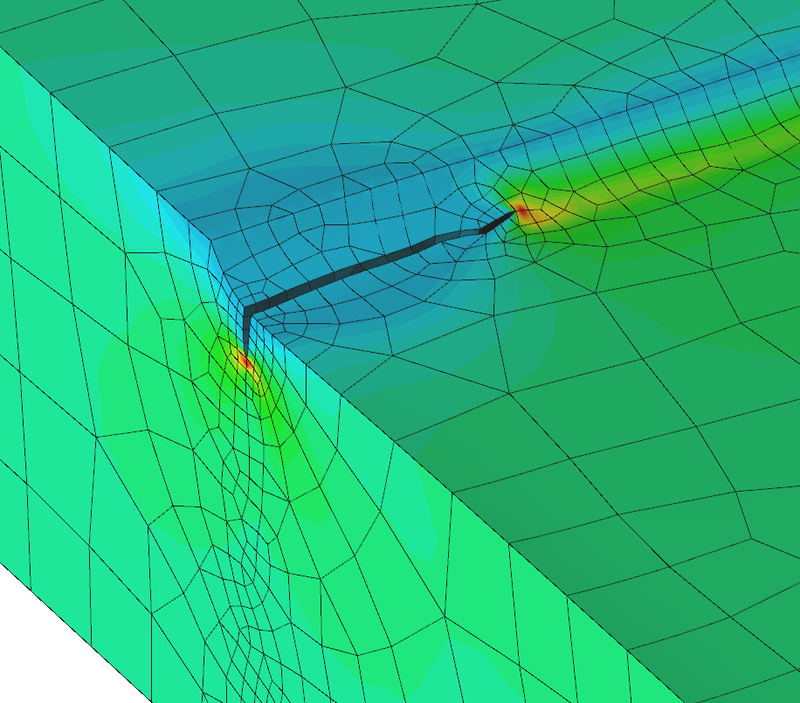 BEASY's fracture simulation tools can be used to determine if a crack would grow under the given design load or determine the growth path of the crack. This information can be used along with NDI data and fractography to determine the likely cause of failure. Although handbook type SIF solutions do exist for single cracks the number available for multiple cracks is exceedingly small. The mechanics of multiple cracks is very complex due to the singularities at crack fronts and the complex stress distribution caused by the interaction of many cracks. 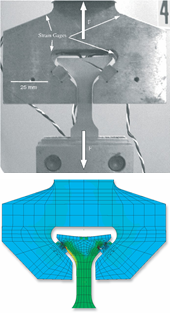 If you have components with multiple cracks BEASY can provide realistic analysis of crack interaction. 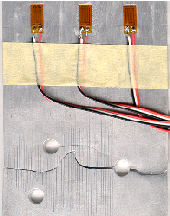 BEASY is not limited by the need to create an equivalent flaw for the purposes of analysis; it can also provide accurate analysis of cracks for real engineering cases. This is often an important consideration since the interaction between cracks could produce either an enhancement or shielding effect on the stress intensity factor depending on the relative positions and orientations of the cracks. fatigue and fracture data for their industrial structural parts. 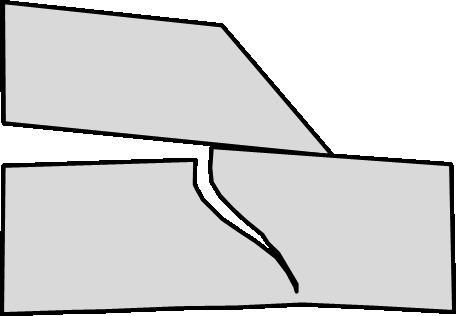 Understanding how a crack like defect will grow and the path it will take can provide valuable information in to the risk assessment of a design. 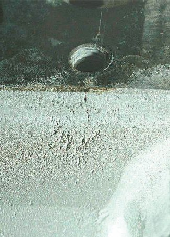 For example in the design study shown the model of the initial design showed that the crack would grow through the wall and lead to catastrophic failure where the wall of a high pressure component fails. 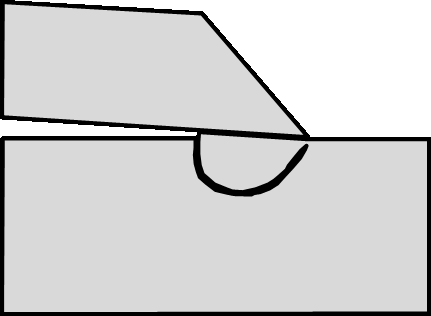 In the modified design the crack would take an alternate path which would simply lead to the weld failure of the bracket. Using the results from the Corrosion Manager software, the material removed from the surface can be predicted (corresponding to corrosion occurring over a given exposure time), and cracks can be initiated in each potential problem area, to identify vulnerability to fatigue failure. 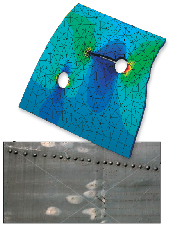 The geometry change caused by corrosion mass loss can be used to perform stress analysis of the structure, to determine the stress concentration in the component at the corresponding time in the life of the aircraft. It can then be assumed that cracks initiate, and the subsequent crack growth simulated. This crack growth takes into account the corrosion damage and will inherently include local stress concentration due to the damaged surface. In the crack growth simulation, the full crack path and direction is determined along with the fatigue life.